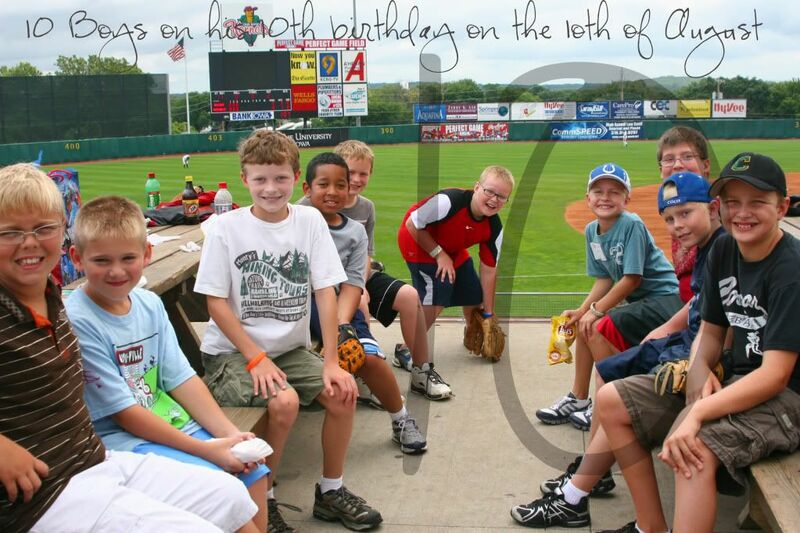 Little Man celebrated his 10th birthday today at the ballpark with nine of his friends from school. The weather cooporated and we made it through the game without any rain. 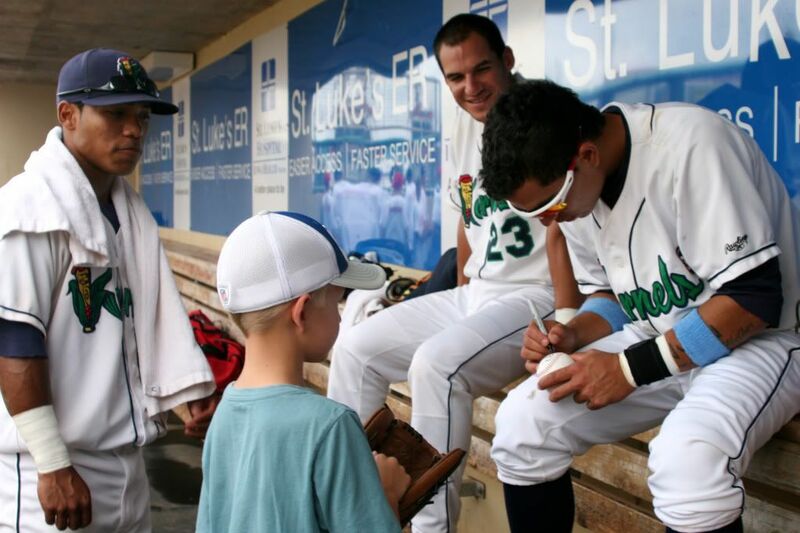 Little Man got to throw out the first pitch, go in the dugout with all of the players and get their autographs, he got an autographed picture of Joe Winters (our local weather man) that read "Glad we found you after the fun run." (Several years ago he got lost after a race and Joe Winters used his loud speaker to initiate a search party). All the boys got to have lunch and cake and even though the game turned out 5-7, I think everyone had a pretty good time. I guess there are a few perks to living in a smaller city. We couldn't have afforded a birthday party with a professional team. You are Creative!! 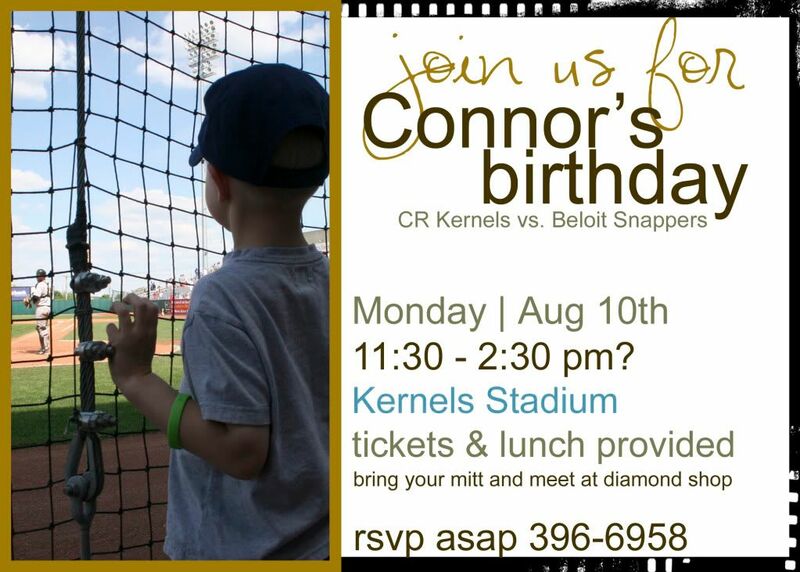 That would have been a FUN birthday for a boy of 10!!! Great job!!! I'm glad you're going through this now so you can coach me in a few years time!! :) It looks like it was a blast!! What a fun party! Hope both your kids had happy birthdays. And congratulations on the baptism, too. Wish we could have been there.